No Piranhas In Africa. 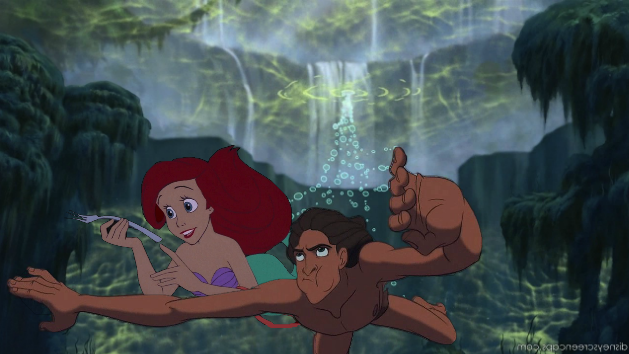 But there are mermaids, apparently xD amor these two <3. 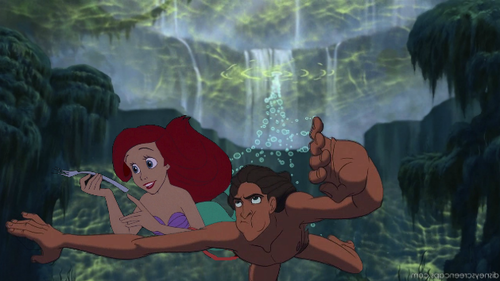 Wallpaper and background images in the disney crossover club tagged: disney crossover ariel tarzan. This disney crossover photo might contain fuente.